message for personalised gift label if chosen above? A cute personalised Christmas outfit featuring knitted style reindeer and your baby's name. 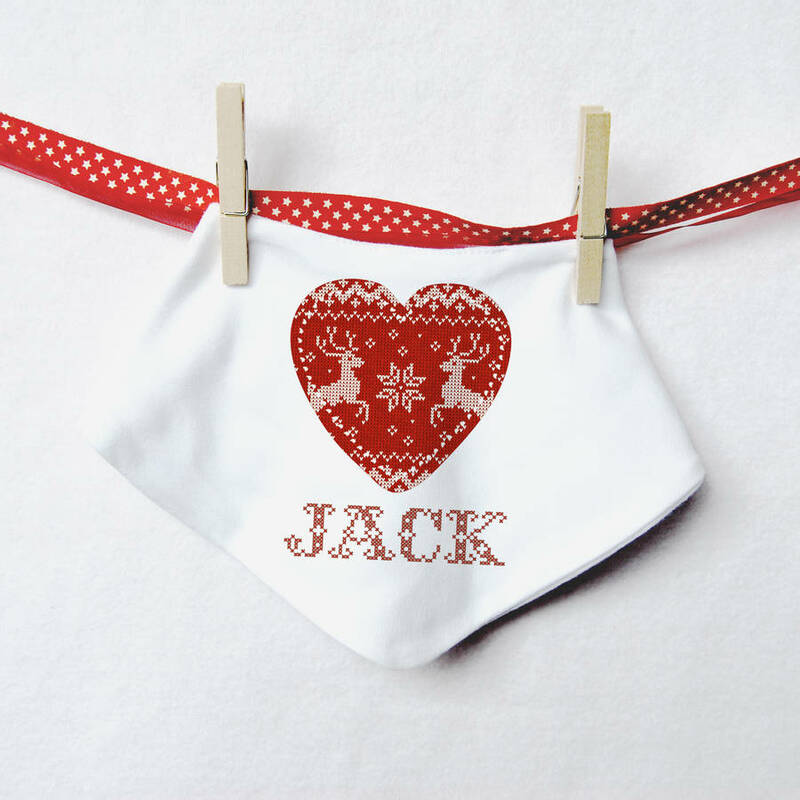 Personalise this take on a traditional Christmas outfit which is great gift for new babies! Perfect to wear as that special Christmas day outfit and available in two style options it is easy to coordinate with added warmth if long sleeves are chosen. Featuring two winter reindeer in the style of a knitted jumper drawing and a classic cross-stitch style name. This vest is available with either short or long sleeves. You have the option to add any name to this design, more than one name may be placed over two lines. Made from 100% white cotton and made in the UK. All vests are handmade to order. We recommend hand washing on the first wash then continue to wash in your machine on a low heat setting, iron on reverse only.